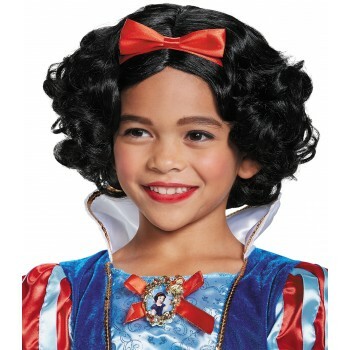 Your own little princess can use this luxurious wig to become her favorite Disney character, Snow White, from the classic Disney movie Snow White and the Seven Dwarfs! 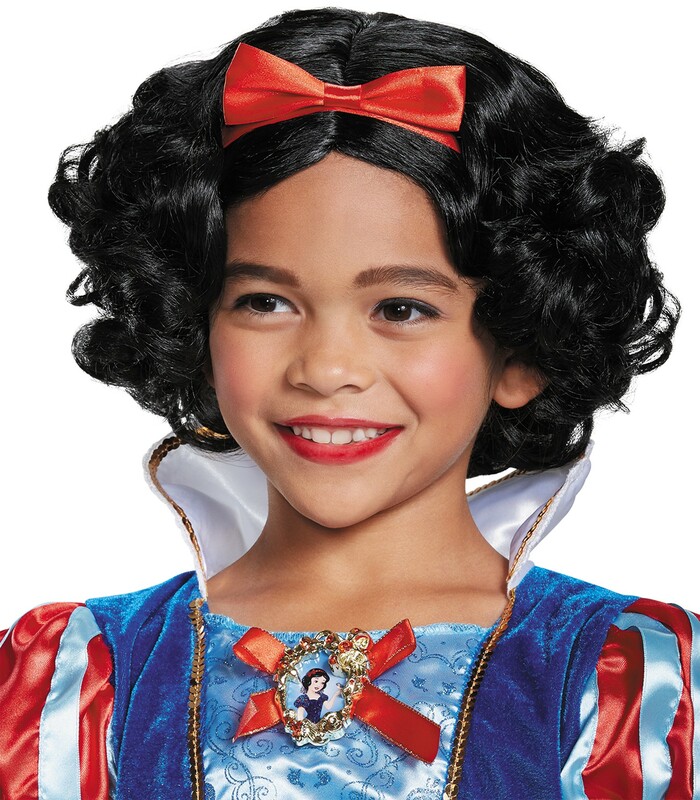 When you pair this beautiful black wig with a classic Snow White costume you'll be able to watch your child transform herself into one of Disney's most popular and enduring characters! One size fits most children. One wig with attached hair ribbon. This is an officially licensed Disney product.